WHAT IS A RALLY, HOW IT WORKING? A typical rally consists in several stages, itself divided in special stages, those whose cars have been the fastest on the special stages, those where the speed counts. A rally runs on a known road, and involves a rigorous timing. Each team is given an “itinerary book”, also called “road book”. Teams make previous to the rally “reconnaissance” to detect all the specificities and traps of the road. During the rally itself, they rely on the road book to follow the directives of the course, and they regularly have to stop at “time control checkpoints”. These checkpoints aim at verifying the presence of the cars at different points of the rally, and that they do follow the expected road. The different teams leave every 3 minutes, so as to avoid the dust from other cars. They must respect strict timetables between time checkpoints: delays, but also advances, are penalized! In order to do this, the road books are shown by the pilots at the various official checkpoints. The marshals write down the time at which the book was presented, which will help to attest the respect of the indicated planning. After one stage (for instance, after one day) of the competition, the teams will start again in an order defined by acquired scores: the winner will be the one leaving first. At the technical and mechanical level, before being allowed to take departure, all the cars are strictly controlled and verified by a technical delegate of FIA and a local delegate. They check all security aspects (seats, belts, roll-bars, front and back lights, etc. ), as well as conformity aspects. 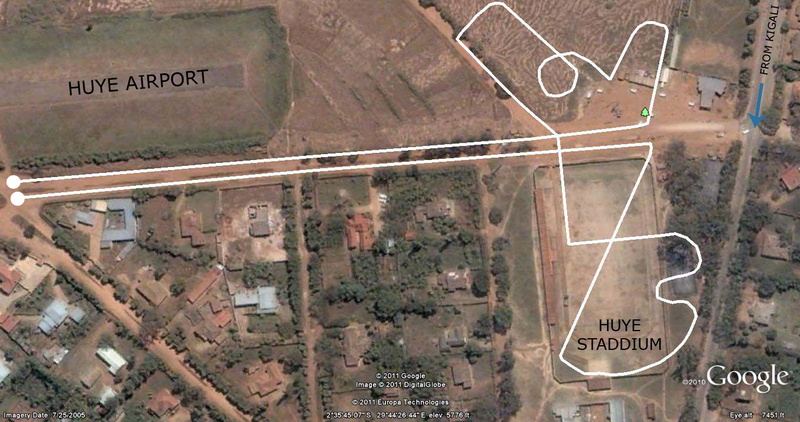 During the rally, service areas are planned after some predefined km. the maintenance team then verify the mechanics of the car, fuel and oil tanks. It is also at these services areas that the pilot may chose the tires that will suit best for the next section of the road. In 2004 a group of young students from the National University of Rwanda and friends of Gakwaya family established in Huye decide to make a change and form a team of Marshalls. They name Gakwaya Racing Team after the late Jean Claude Gakwaya great pioneer of rally in Rwanda. From a strong will -which is all they had at the time- to the respected team marshalling at every Rwandan rally today GRT has come a long way. Its ups and downs, its worries to find fresh devoted Marshalls who would believe in what GRT stands for and would want to keep up the torch, through it all the Marshalls team did expand. Each year, recruiting and undertaking training sessions covering Rules, Regulations governing rallies, competitors and official responsibilities and the use of flags and other safety equipment. Today GRT is as strong as ever, HAVE DOUBTS? Well, come see for yourself! From July 1st to July 3rd 2011 the guys in yellow chasubles will be bringing Huye Rally to life. Who is a Marshall exactly? Marshalls are the people who operate rally controls (CH) such as starts, fly finishes, etc… keeping a check-sheet of the cars as they pass. You’ll see them running up and down keeping spectators at a reasonable distance from the road and making sure the stage is safe to run. Marshals are usually at a minimum of 3 per post but extra teams are deployed through stages to serve as radio crews. They also look out for cars that may go ‘missing’ during a stage, between posts and out of sight or any accident of sorts. Without these dedicated people, no rally can take place. It is as simple as that! They contribute to the success of the event and the smooth running of the organization. No wonder drivers and navigators keep thanking them in each of their speeches. “…thanks to Marshall’s effectiveness and their beautiful smiles” said Ruddy cantanhede after winning The Gakwaya Memorial Rally for the second time in 2007. Want to be a Marshall? Marshalling can be a very fun experience as you get the chance to be at the center of the rally where real action takes place. So don’t miss out! Inform the chief Marshall, he will allocate you a stage and partner you with an experienced Marshall so you can get an on-site training and have a taste of what it’s like to be a GRT Marshall. Sponsors, Partners and Competitors (not competing for this rally) we encourage you to try Marshalling. VIP tents are not the best place to experience the wonders of such a rally. Plus a little bit of fun will definitely do you good!